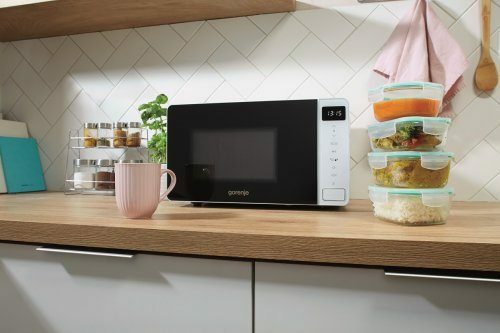 This microwave oven gets the job done perfectly everytime, making your life a little simpler from early morning untill late in the evening. Either to prepair a morning tea, quickly defrost frozen food, reheat leftovers or even cook a full meal. Select Defrost. Voila! Gets the job done everytime you run out of fresh bread. Push Reheat. See? Definitely does the job when you're craving last nights pizza. 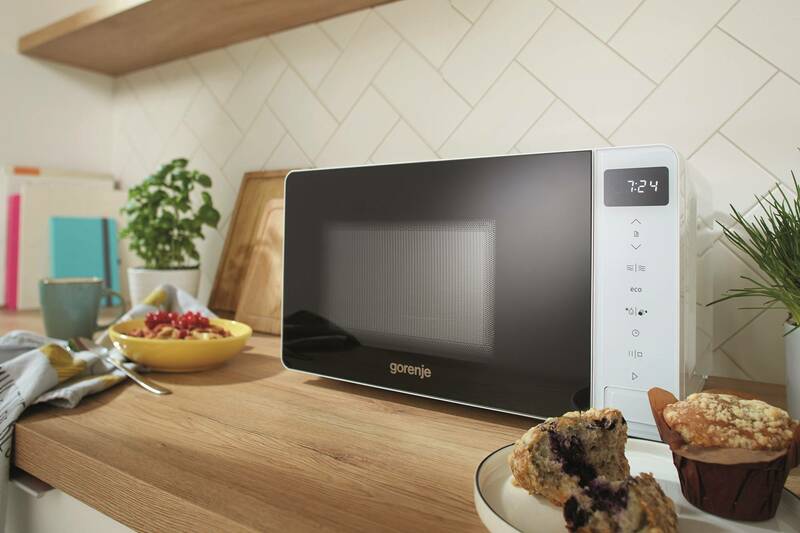 Select Microwaves for a cozy night in. Job done! 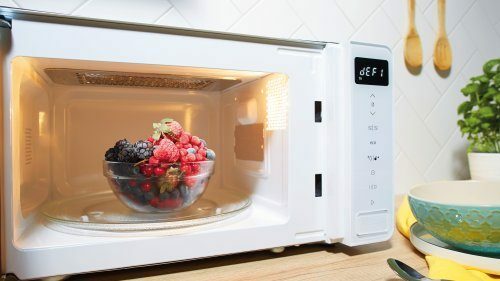 Microwaves are electromagnetic waves that excite movement of the water molecules in the food. This motion generates energy that heats, cooks, or defrosts the food. 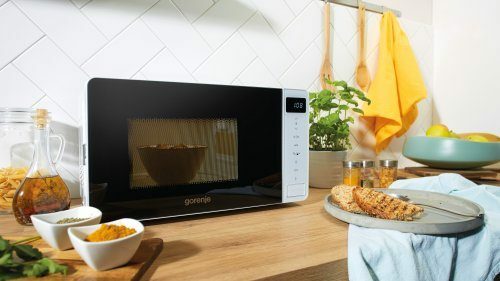 Due to quick and effective penetration of the microwaves into the food, the dishes are cooked much faster than with conventional cooking methods. You can cook in several stages by manually programming a few steps of the cooking process. For example, in step 1 you may opt for more microwaves than grill, in step 2 the other way around, and you may set step 3 to achieve a final crust with just grilling. 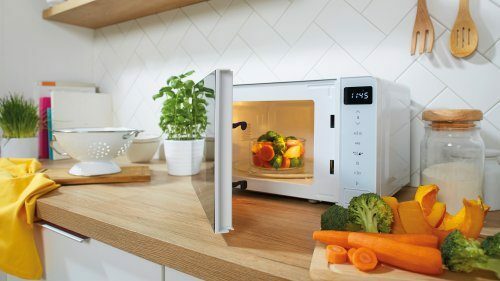 When you activate the StepBake mode, the microwave oven automatically changes the steps so you don't have to do it manually. 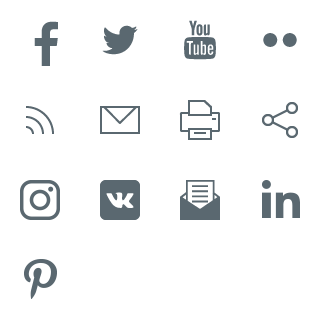 Automatic presets allow simpler cooking of some types of food. You only have to choose the type of food and enter the weight, and the oven will automatically adjust the cooking power and duration. 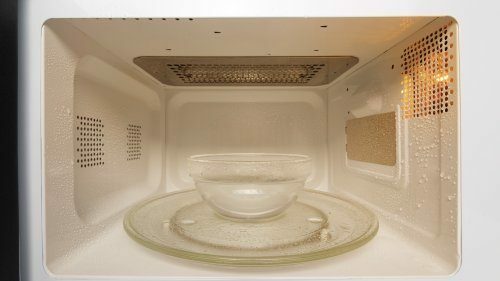 Oven interior can be cleaned by filling a high-temperature-resistant glass or clay cup with tap water, placing it in the oven, and activating the AquaClean program. The resulting steam will soften any dirt on the oven walls. At the end of the program, simply clean the oven with a damp cloth. 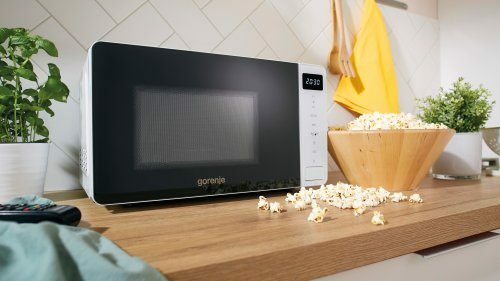 All Gorenje microwave ovens stand out with the efficient defrosting preset that will evenly and quickly defrost any deep-frozen item. 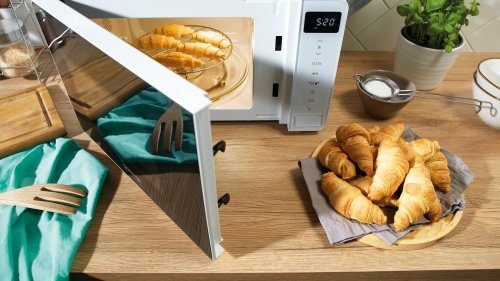 The StayWarm automatic program keeps the food at a constant temperature until the time is right to serve the meal.